Let’s say have a customer who right out of the gate demands to talk to a supervisor. 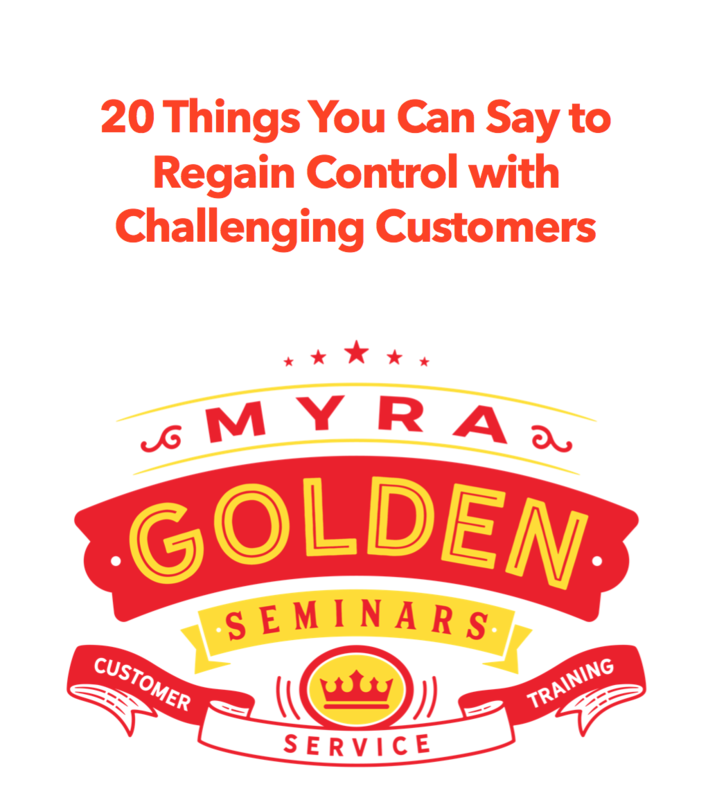 You can take the three easy steps I teach in my workshops to keep some customers from escalating. When a customer immediately asks to speak to a supervisor, not wanting to give you a chance to assist, you can Recognize emotions like this. By saying this, or something similar, you acknowledge the customer’s perceived need to talk to someone else. If all goes well, you’ll quickly move into the final step and help the customer. Put together, here’s how the 3R works when customers right away ask to talk to a manager. When your customer asks to talk to a supervisor, try the 3 Steps of De-escalation. You might be surprised at how many customers will let you help them. I pulled this 4-minute video from my De-escalation training so you can have a quick teaching method to share this 3-step method with your team. If you find you need more help with de-escalating, consider my online de-escalation class.